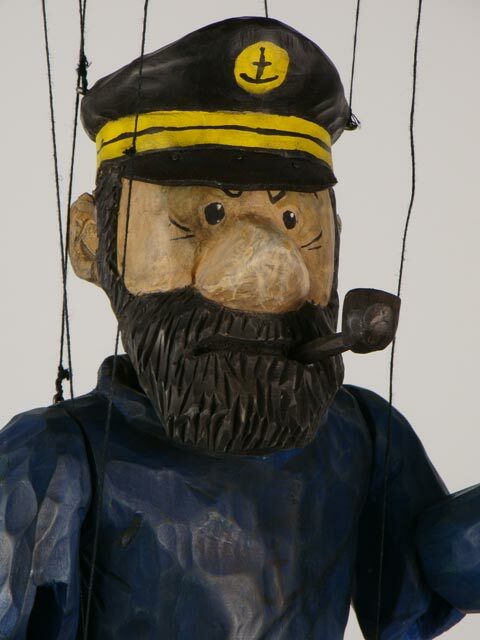 Captain Haddock designer puppets for sale. Each doll, wood marionette puppet is handmade work by a Czech artist. It is carved from lime wood, using a classical technique. The puppet’s body is treated with beeswax and transparent oils, which reveals the structure of the wood and preserves the puppet for a long time. Clothes are made of natural silk patterned by hand, velvet, brocade, cotton and leather. The marionette has a professional control mechanism, which allows you to use puppet in professional theater performances and puppet show. 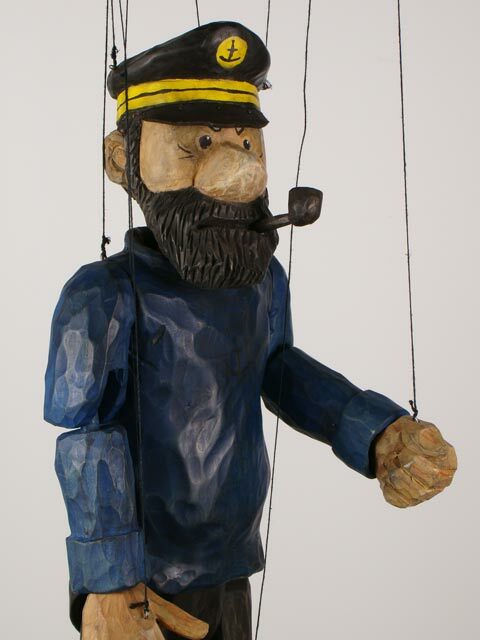 The puppet-marionette may be used as a museum exhibit or to replenish collections also. 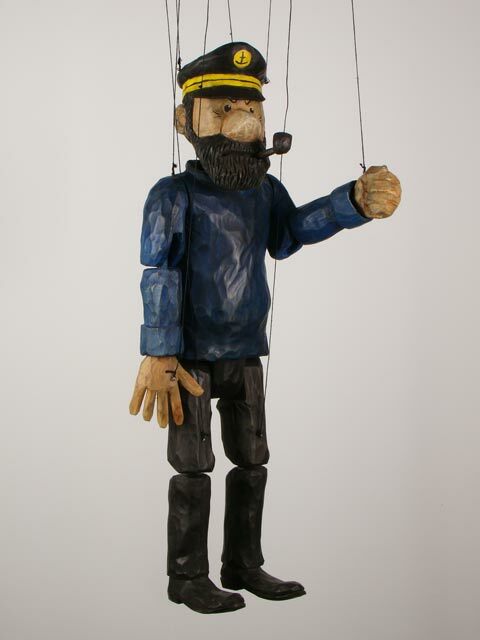 The wooden puppet will be made to order and sent to you 3 weeks after payment. Paper puppet theater "Snow White and the Seven Dwarfs"